Yeah, this is something like the third time Intel have delayed the launch of their first 10nm consumer chips, with DigiTimes reporting that we’re now not going to see Cannon Lake arriving until the end of 2018. Want some graphics to go with your chips? Check out our pick of the best graphics cards around today. That means there’s now a good chance the 8th Gen will only feature the 14nm+ and 14nm++ production processes of the Kaby Lake refresh and Coffee Lake respectively. We were only really expecting the 10nm Cannon Lake architecture to appear the ultra low power chip going into the next-gen 2-in-1 and ultrabook devices early next year. 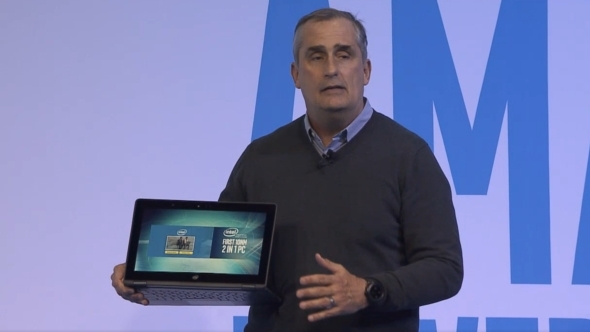 But, given Intel’s CEO was waving a Cannon Lake-powered notebook around on stage at CES in January we kinda thought they were pretty close to hitting proper production volumes. Not so, it seems. That’s sure to upset the laptop manufacturers hoping to get their sleek new machines out in the wild before the next ice age. And, on that note, the DigiTimes report is suggesting that some of the laptop gang are even thinking about giving the awkward Cannon Lake architecture a wide berth and skipping straight to the Ice Lake platform. If that’s true it could indicate a relatively early 2019 release for Ice Lake. It’s interesting/ironic that the rumours of a third 10nm delay are doing the rounds when Intel have been out in Beijing at their Technology and Manufacturing Day, busy showing off 10nm production wafers all over the place. 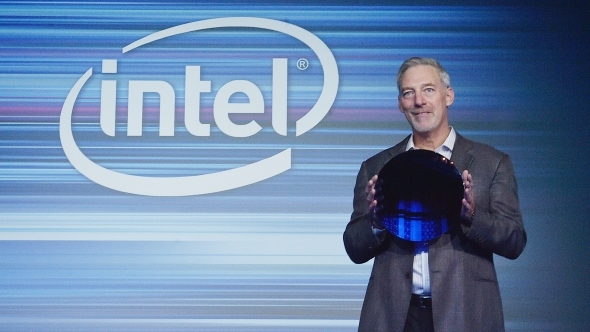 Getting down to the 10nm production process has been a real challenge for Intel. And, given there are only four manufacturers – Global Foundries, Samsung, TSMC and Intel – capable of developing and fabricating such leading edge silicon, down from 18 just a decade ago, we should probably cut them some slack. But they’ve also been keen to point out that what others are calling ’10nm’ may not be all it seems. 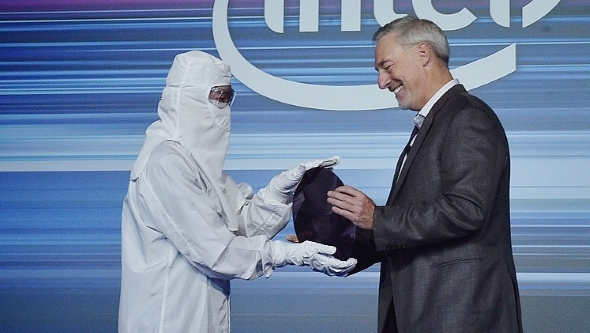 Accepting the wafer from the scary bunny suited guy on stage, Smith explained that Intel’s 10nm process was “a full generation more dense than what others are calling 10nm.” Still, at the other end of the spectrum they’ve got the fastest consumer desktop processor known to humankind, in theCore i9 7980XE. That matters, right? Given that in order to hit manufacturing for notebooks in 2018 the vendors will have already had to put their laptop plans together, this latest delay could potentially upset some of the big guns. Any chance this could push them towards Ryzen Mobile instead?